See what Azuga can do for your company. From our offices around the world, the Azuga team is dedicated to giving our customers whatever they need to track and manage their fleets. Unlike other companies that require new rigorous contracts every time a few vehicles need to be added, and software companies that don’t have the dedicated help that Azuga provides, Azuga takes a hands-on team approach and is always available to provide our customers with assistance. 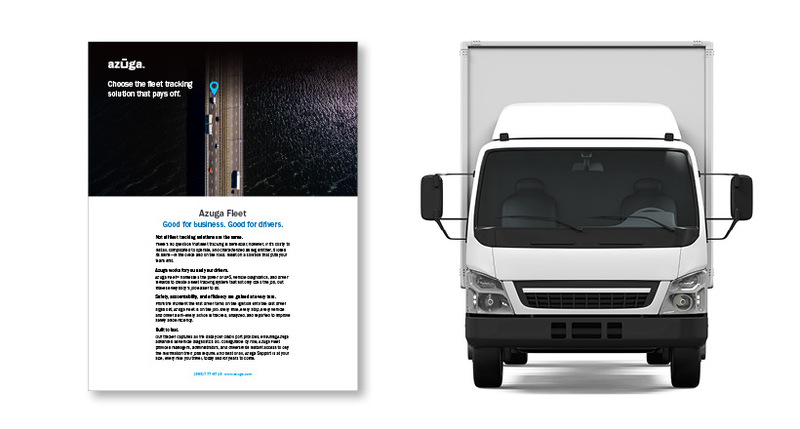 When evaluating GPS Fleet Tracking, customers find that only Azuga provides significant, real benefits to their businesses and their drivers. We are obsessed with ensuring our customers get all the benefits that the solution can deliver. Whether it be making their fleet safer, more efficient, or saving their business money, our team is dedicated to your success. We don’t just sell it and move on. Azuga customers have relied on us since 2013 for GPS fleet tracking and asset tracking as we continually innovate to deliver more value month after month. Not all fleet tracking solutions are the same. There’s no question that fleet management software is beneficial; however, if it’s costly to install, complicated to operate, and characterized as Big Brother, it loses its impact—in the office and on the road. We tell our customers to insist on a solution that puts their team and their safety first. Azuga is great for business and for drivers. 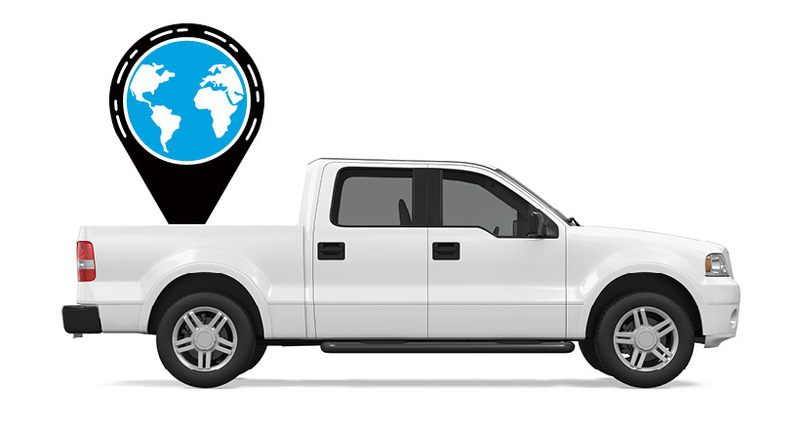 Azuga Fleet™ harnesses the power of GPS, vehicle diagnostics, and driver rewards to create a fleet tracking system that not only does the job, but makes everybody’s job easier and safer to do. Every mile, every stop, every vehicle and driver alert—every action is tracked, analyzed, and reported to improve driver safety and efficiency at every turn. And all of the data collected is put to good use not only for running the business and providing the industry’s best driver incentives but by the commercial transportation industry as a whole. The benefits of GPS fleet tracking and telematics are well-proven. On average, Azuga customers experience a 57 percent reduction in driving citations, a 38 percent reduction in accidents and a 53 percent reduction in wear and tear on their fleet after implementing our GPS fleet tracking solution. Along with this proven ROI, fleets can take it a step further by leveraging a combination of telematics technology and data expertise to establish quantitative relationships between driving behavior, fuel consumption, accident risk and more. Such analytical insights can provide fleet owners with a better understanding of potential savings, incentives to improve driving behavior, and ultimately optimize fleet performance. Azuga’s insurance telematics data is used by insurance companies to accurately measure and price risk into their commercial vehicle portfolios. We are leading the insurance industry by making commercial fleet insurance profitable. By turning actual driving behaviors into standardized scoring, Azuga provides insurance partners with the information needed to serve their clients profitably. By reducing the frequency and severity of accidents by as much as 50%, Azuga and our insurance partners have proven the value of GPS telematics to improve the combined ratio of our partners in North America with over 25,000 vehicles. While our eyes are always on the future of transportation, our current rapid growth is largely fueled by customers who rely on Azuga for all of their fleet tracking needs. 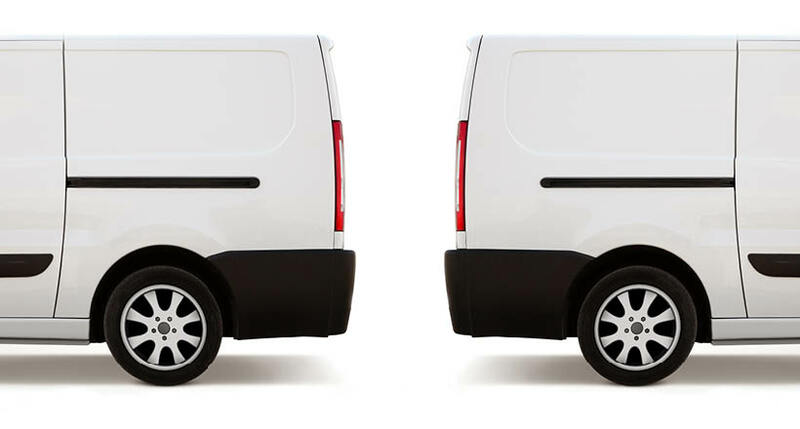 Video enabled detection and prevention technology will become more of a must-have safety tool for fleets of all sizes starting in 2019. This technology has previously been overpriced and out of reach for many fleet-based businesses, but the next generation of video safety solutions will not only be affordable for all fleets, but will also provide a path to make AI-based systems more mainstream. We see a big challenge coming from the “trucking capacity crunch,” which can be attributed to a shortage of drivers, a high attrition rate and new regulations. They often require businesses to dedicate time and resources to bring vehicles up to compliance standards. The industry will have to invest in cost-effective technology that combines future-proof safety features with tools to make it easy to recognize and reward employees for practicing safe driving behaviors. Today’s fleets generate massive amounts of structured and unstructured data on a daily basis. Being able to analyze that data can make the difference between record-breaking profits and a loss. In the future, as blockchain, machine learning and additional mobile integrations continue to evolve, it will be even more imperative for a fleet to have technology that can leverage real-time vehicle data in conjunction with detailed analysis and benchmarks on past fleet performance. It’s not just about Azuga AI and machine learning, it's really about safety, streamlining operations, and reducing costs with Azuga SaaS solutions. Azuga is recognized as an industry leader in working with insurance companies and government entities to put telematics data to work. Our connected future is here, and Azuga is working with government agencies to leverage telematics data to improve how transportation taxes, emissions data and tolls are collected. Azuga also helps states and municipalities understand traffic patterns and road surface conditions to improve infrastructure planning and upkeep. In addition to supporting tens of thousands of commercial and consumer vehicles, the Azuga One data platform is an ever-growing database with billions of data points. Through our distributed cloud computing environment, we are bringing advanced statistical modeling and predictive analytics to enterprise, industrial, insurance and government customers that aids product design, infrastructure management, risk assessment, and operations management. At Azuga, we are constantly looking for ways to learn and to deliver better solutions and ways of helping our customers. We gladly share good tips and information we receive from our customers so that we can help to make the most of customer and partner time spent using Azuga. Contact Us today to see how we can help you.